If you are worried about your device being infected by a Keylogger, well, worry no more. In this article today, we will teach you how to detect a Keylogger on Windows 10, 8 and 7. Also, find out ways on How to remove or uninstall keyloggers from your PC. Before moving forward with the method to detect a Keylogger, let us first understand what a Keylogger is and why is it such a threat to one’s privacy. In case you are just interested in the method itself, feel free to skip this part straight to the ‘how to’ section. 2 How do Keyloggers enter your computer? Keyboard logging or keylogging is the act of covertly logging a person’s inputs and keystrokes on a keyboard, without them even noticing. 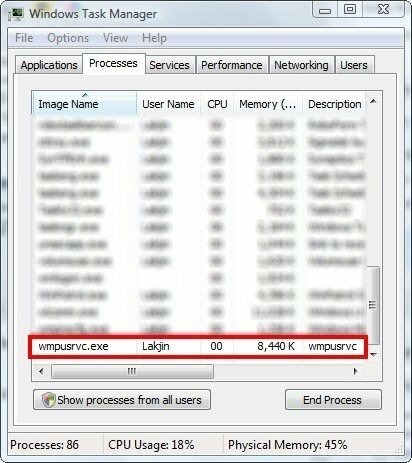 This data can prove to be quite dangerous as it can be used by the person operating the keylogging program to use it for unethical purposes. Although these programs are legal and are generally used by the employers to oversee the protection of confidential data. There are essentially two types of Keyloggers. Software Keyloggers are pieces of code that are used to track down ones keystrokes and other activities, while Hardware Keyloggers are typically USB drives which are used to film down one’s keystrokes. How do Keyloggers enter your computer? Prevention is always better than cure. And if you can detect and remove a Keyloggers even before it gets installed on your computer, it is probably the best way to deal with it. A good judgement towards what files do you download and a good malware protection software can help you a great deal for this. The most common way in which a Keylogger gets inside your system is in the form of a Trojan. A Trojan is a file which masks itself up as an utility software but is actually a malware. A Trojan generally slips it’s way in the form of a downloadable file. The most effective way to protect your system against Trojan is to have a good antivirus software installed on your computer. Not only will it protect your computer from the Trojan virus but also protect it from many other potentially harmful malwares. Try any one or both of the following methods to detect and get rid of Keyloggers. Press SHIFT+ALT+DELETE on your keyboard. 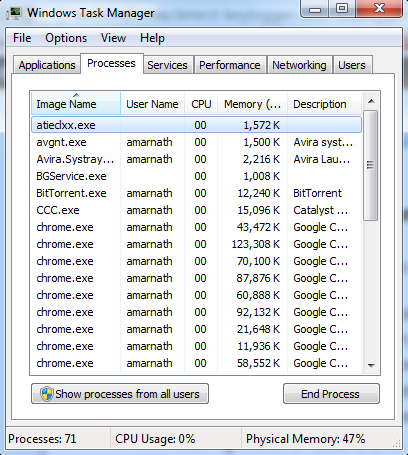 Select Task Manager from the options available. Now a task manager dialog box is going to open Select processess at the top. Now scroll down the list and you will see a winlogon.exe process. If there are two such processes that are with winlogon.exe andWinlogon(1).exe or something unusual running in “.exe” then right click on the second one. And click end process. Many times, the process name can be different and that’s when it becomes difficult to find the keylogger process. To overcome this problem, you can try the other methods mentioned below. Many times, a keylogger gets installed when you try installing any software downloaded from Torrent or risky sources. So to check that, we need to examine the list of all installed programs. 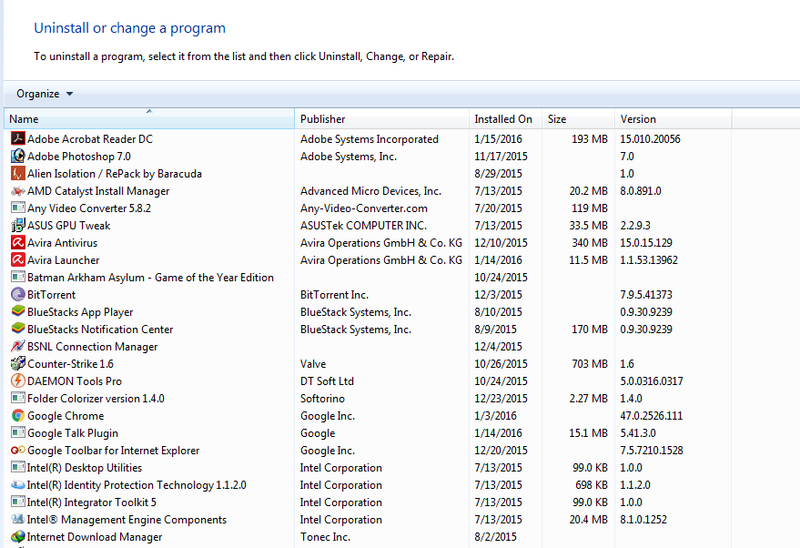 Browse through the list of installed program. If there is a program you have not installed by you then that can be a keylogger installed by the hacker. This way you can easily get rid of Keyloggers from your Windows PC. Keyloggers send logs and other information to the hacker or the admin. All this data is sent using Internet. 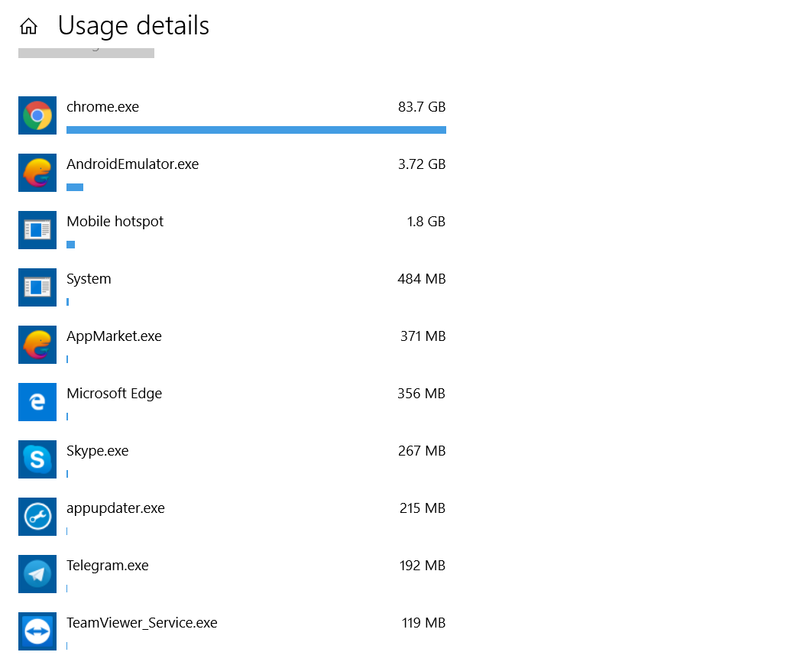 So what you can do is, check the data usage of all apps and see if you notice something weird. 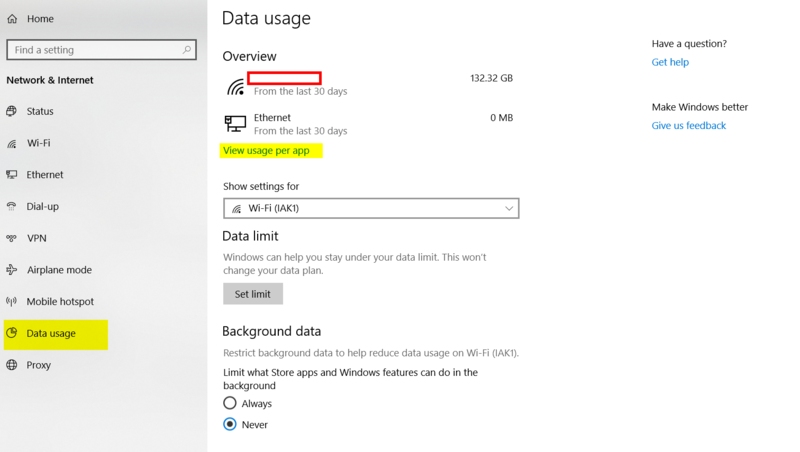 Choose the Data usage option in the left-hand menu. A list of all the programs on your computer that are using the internet will popup. Perform a web search on any of the names you don’t recognize to see if they are keyloggers. To check on your browser for extensions, look through the extensions and disable any that you don’t remember installing or that you never use. 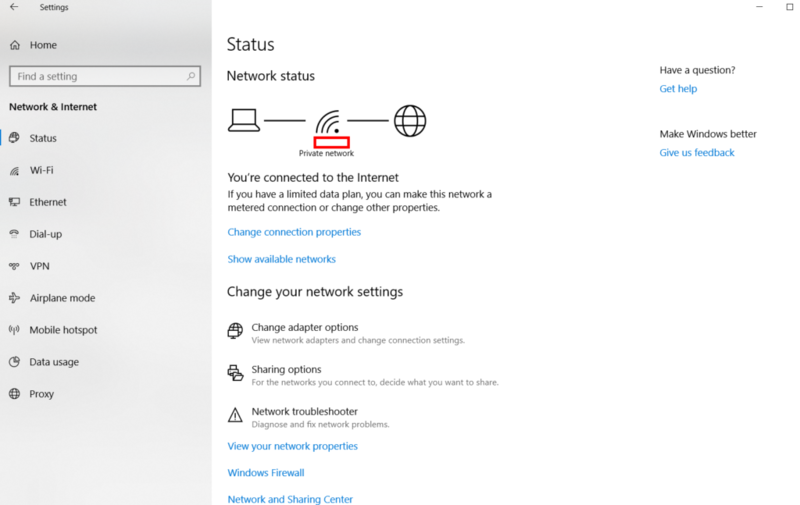 In Microsoft Edge: click on Extensions in the browser menu. Using anti keylogger programs is one of the safest, most secure and guaranteed method to get rid of keylogging softwares. We have selected five best Anti Keylogger softwares for you. You can choose and try any one of them to get rid of keyloggers. Here are some Anti-Keylogger Software for Windows. Spyshelter is the best software to help detect and get rid of Keyloggers. Once it’s installed, it runs all the time and makes sure that your computer is secure from all possible threats. Its effectiveness makes it worthy of the first position on our list. Zemana is a free antivirus which is also available in a paid premium version. Zemana also has an encryption enforcer for secure web transactions. The fact that Malwarebytes is free makes it our third pick. Malwarebytes is as efficient as it gets when it comes to detecting threats such as Keyloggers. Norton has a brand which speaks for itself. It definitely is one of the best Antivirus softwares out there in the market. It acts as the first line of defence against Rootkit virus and helps detect and remove such threats as soon as they are caught. I hope that you were able to get understand how to detect a Keylogger. In case if you face any difficulty, please feel free to comment and let us know. We will get back to you as soon as possible.